This affair is not quite your typical affair from one person to another, but rather an affair from one person to a country. Yes, my loyalty to the USA is strong, but I felt the need to step out on her for what I knew was going to be a temporary affair. I’ve stepped out on her temporarily before, but this time would be different. This time the seductress was further away, making her slightly more exotic. Her name was Thailand, and from the moment I was told about her i was mesmerized. Hot blooded, I was told, as well as the fact that she could cook a mean meal. That was the kicker…she could cook, and I could eat. Her vast landscape was attractive and our activities could be endless or we could just relax in the sun. Enough said, I want to meet her. And with my P.I.C (partner in crime) by my side, we set out on the long journey. In total, 27 hours of travel time. Smooth flights and dim lights made the trek easier, along with the provided entertainment and of course, the P.I.C. After the final leg, an 11 hour flight, I was ready to make the acquaintance. My first impression…..wow. I wanted it to be magical, and I probably forced it a bit, but she was beautiful. I wasn’t sure what to expect, but she had more landscape than I had imagined. Was she third world or was she still developing? It was hard to say. Run down homes side by side with beautifully landscaped complexes and colorful buildings made it an artists dream. So many emotions to capture, yet I was still only on the sky-train. We were off to a good start though and after a helpful girl in a hostel pointed us in the direction of our hotel, we were ready for the affair to begin. After settling into the hotel, it was time to explore. We were tired from the journey, but it made sense to get to know each other a little better. A quick walk around found us a 7-11 (a dime a dozen with her) for a sim card and a shopping mall. Wanting to do so much more but exhaustion started to set in and a nap was necessary. After the brief slumber, we ready to explore again and found ourselves on a riverboat headed to an outdoor market. The breeze felt fine, and the euphoria of just being there was still motoring us along, though additional sleep was probably needed. Once we arrived, there was finally an opportunity to see her cook. A crowded location filled with locals and tourists was enough to attract us, and we sat and we ate. Though, not as tasty as I anticipated, it was a welcome introduction into what I assumed would be a wonderful culinary relationship. Unfortunately, this was the peak of the introduction period. As with any relationship that’s just beginning, there’s a possibility of things getting rocky, and that it did. As I explored her landscape further, all while still in Bangkok, I began to meet the unseemly characters of this culture. Everyone had a scam, or a hustle, (one I got caught up in) and eventually I began to trust no one. A friendly hello was now met with skepticism and the checking of my pockets. “I can sell you a suit real cheap,” or “I’ve got a great deal from you,” followed by the inevitable “where are you from,” became echos that I wished to escape. I was so disappointed since my expectation from her was so different. A land of smiles….deceiving smiles, as it were. I really wanted to get to know her, but this facade seemed too much to overcome. To add to my dismay, she wasn’t the cook I thought she was. I tried to follow the rules that I had read. Find a busy food stall…one with lots of locals and plenty of turnover. Therefore, you know it’s good. But none of the places I had seen seemed to fit the bill. It wasn’t busy season, so the crowds were non-existent. I tried to play it safe and had her only cook up a few “safe” meals. I didn’t even approach half the carts I saw, which kind of left me and the P.I.C hungry. As I said to the P.I.C…how could I go on vacation based on the good food, and come back having lost weight? It doesn’t make any sense. Nightlife was confusing as I had a hard time finding where she liked to have fun. Sure, I knew where the clubs were, but that wasn’t my focus. I wanted to chill, and have a few drinks. All I found was clusters of bars where girls outnumbered the guys, and the extreme friendliness of those places led me to be even more suspicious. I wasn’t yet regretting this affair, but I was fast becoming less excited about my decision to be here. Don’t get me wrong, there were a few bright sides. Transportation was easy, the weather was hot as I expected (I don’t think I’ve sweat like that before), there was great people watching, and the P.I.C made great company, but how would this affect the remainder of the trip? 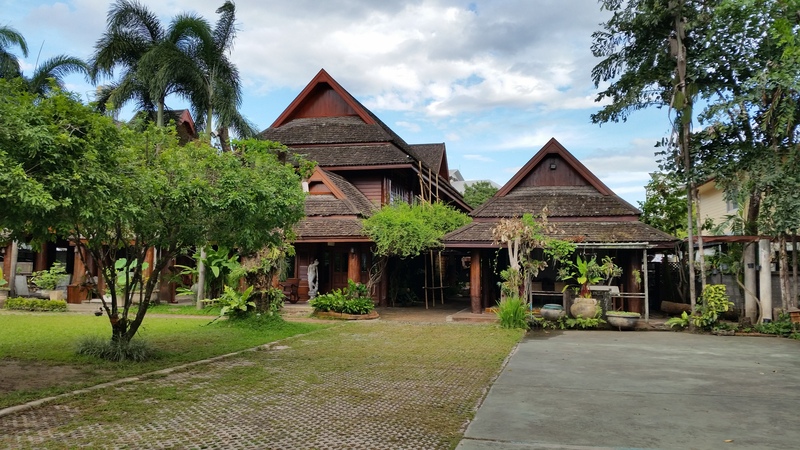 I would soon find out, as after a short four days, we were moving on to Chiang Mai…. 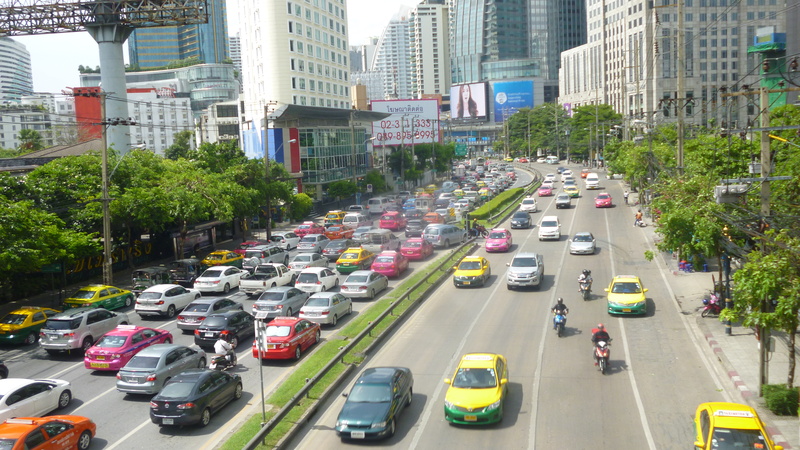 This entry was posted in Life, Story, travel, Uncategorized, Vacation and tagged Bangkok, love story, Thailand, travel, vacation on July 5, 2014 by gtwhitfield.